Since my childhood days, I have been intrigued by the beauty of the starry nights. Often I would imagine how nice would it be if I had a magic crystal ball, the kind I can peer into and see the clockwork of the giant Universe at its grandest scale. Just like me, there are millions of other people who have a quest to know about the existence and origin of the Universe. A section of people in central Africa believe, in the beginning there was only darkness, water and great God Bumba. As the legend goes, one particular day God Bumba had a terrible pain his stomach, and in the course, he vomited out; the sun, which was in his belly. Because of the blistering heat caused by the Sun, the water dried up, forming land. Bumba’s pain did not cease and he vomited again. This time out came the moon, stars, animals and finally mankind. This is the myth believed amongst the Boshongo people of Central Africa. Apart from the one that I mentioned, there are several other theories on the creation of the extravagant universe. Now and then, there have been speculations about how the universe evolved. 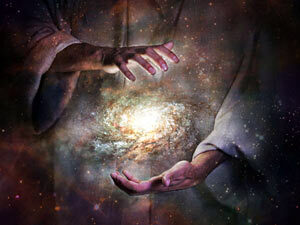 People have spent little time looking at ideas and gather information to know the inception of universe from both religious, as well as scientific point of view. Religious studies say the world was empty and void. In the beginning God created heaven and Earth with a word from his mouth. The divine power is behind all the creation according to religious beliefs. But, scientific study has something else to say. 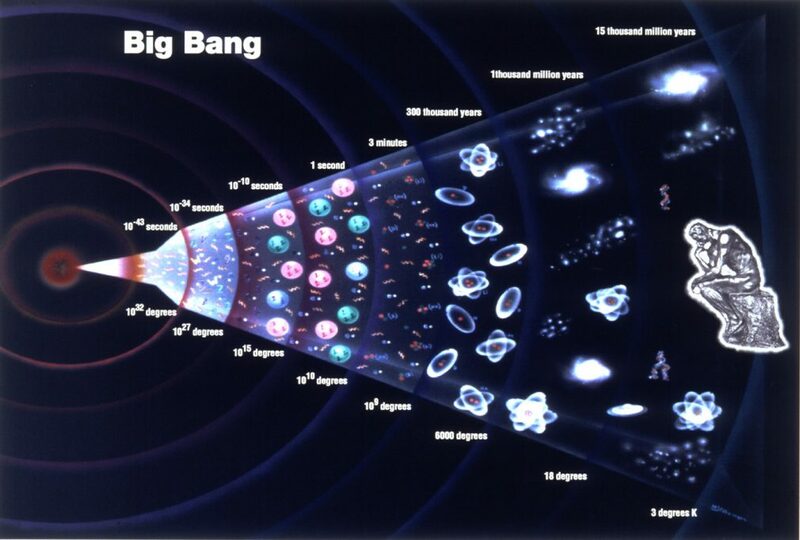 One of the leading explanations on how the universe began is The Big Bang. Presently, the current technology and scientific instruments do not allow the astronomers to peer back at the universe’s birth. In 1927, Georges Lemaitre observed and stated that an expanding universe can be traced back in time to its originating point. Thereafter, this statement has been worked and observed upon, and the idea of cosmic expansion has been built on this observation. Big Bang in its simplest form tells us the start of the universe with a small singularity. 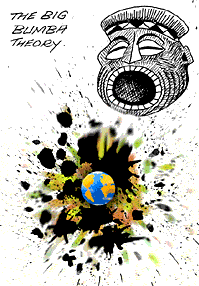 The Big Bang Theory has culminated from the mathematical theory and cosmological models. The prevailing model accounts for the fact that Universe expanded from a very high density and high temperature state. This singularity then inflated over the next 13.8 billion years to the cosmos that we are aware of today. Estimations have placed this moment as the age of the Universe. The Universe cooled sufficiently, after the initial expansion, forming the subatomic particles, and later simple atoms. The massive explosion created not only the primordial majority of matter, but also the physical laws that govern our ever-accelerating Universe. This came to be known as the famous Big Bang Theory. In 1929, Edwin Hubble concluded that galaxies are drifting apart and expanding, from analysis of galactic redshifts. Redshift describes how light changes as objects in space (such as stars or galaxies) move farther away from us. When an object moves away from us, light is shifted to the red end of the electromagnetic spectrum, the wavelength getting longer. Discovery of cosmic microwave background in 1964, added to the approval of Big Bang theory. The cosmic microwave background (CMB) is the thermal radiation left over from the time of recombination in Big Bang cosmology. Strong empirical evidences were accumulated by the scholars and scientists that validated the assumptions of Big Bang Theory. Out of all the theories put forward, Big Bang Theory has moved to the forefront in the last 25 years. Misconceptions: People tend to imagine a giant explosion when visualizing the Big Bang theory. However, as per experts there has been no explosion; there was and is an expansion continuously. It is analogous to an infinitesimally small balloon expanding to the size of current Universe. Another on the list is, imagining the singularity as a fireball appearing in space. But, again experts have to say otherwise. As per the extensive research and calculations, the singularity didn’t appear in space; rather, space originated inside of singularity. Where did singularity come from? That is still a mystery. Science likes to see itself as a revealer of the true nature of the Universe, sort of a seer looking beneath the veil of appearance. There are many who don’t take the stance of Big Bang Theory but, would like to look beyond and go with the religious beliefs instead. With the discovery of gravitational waves recently, scientists are expecting to unravel more mysteries of the Universe. Till then, let us take a leap of faith. Thanks for any other informative web site. Where else may I get that kind of information written in such a perfect approach? I’ve a project that I’m just now working on, and I have been on the glance out for such information Plastic Artificial Eyes.